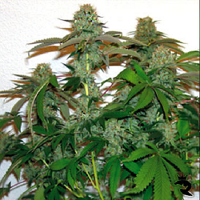 Dark Devil Auto Feminized Cannabis Seeds by Sweet Seeds: 100% Autoflowering strain. 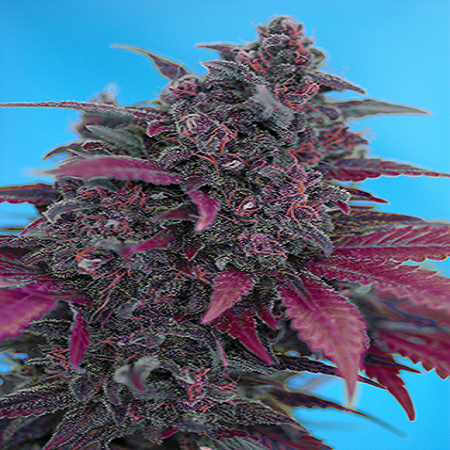 This is the result of the hybridization between one of our most appreciated autoflowering genetics SWS28 (Big Devil XL Auto®) and an exotic autoflowering strain with purple flowers, developed with the collaboration of the R + D department of the seedbank Buddha Seeds – feminized seeds. 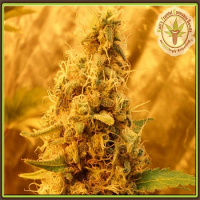 The purple characteristic of this strain is inherited from its ancestors from the Chitral region in the Pakistani Hindu Kush, very close to Afghanistan. The purple genetics contribute for a faster flowering period, bringing new sweet aromas and purple colours to our Big Devil XL Auto®. SWS38 (Dark Devil Auto) shows a strong hybrid vigour since germination. Plants grow with the appearance of Indica-Sativa hybrids with a strong main stem and numerous side branches, finishing with a big main cola and multiple smaller buds on the side branches. Resin production is abundant in the flowers and in their surrounding leaves. Sweet and fruity aroma with hints of incense and delightful citrus tones, after harvested and dried the buds gain a very dark purple tone, almost black.